State-based parties are no longer content as mere allies of national parties – they are shaping their parallel visions of development. Bhubaneswar: Those laying stress upon a national political narrative often ignore the significance of state-based campaigns, even though they have come to exercise significant influence on parliamentary elections. At a time when the ruling Bharatiya Janata Party intends to turn the upcoming Lok Sabha elections into a referendum on Prime Minister Narendra Modi – aka Modi versus All – regional narratives advanced by state-based parties are expanding the political dimensions of the polls. At the same time, they challenge the national parties in both direct and indirect ways. A good case in point would be the Odisha-based Biju Janata Dal (BJD). The party helmed by Naveen Patnaik has been in power for 19 years. As the state goes for simultaneous assembly and Lok Sabha polls in April-May, the BJD is trying to overcome strong fatigue against its nearly two-decade rule. Realising this, the party advanced a two-pronged strategy over the past couple of years. One, it tried to strongly inculcate a sense of Odia sub-nationalist identity – something which was missing among the people of this placid state. One may recall that the former Congress chief minister of Karnataka, Siddaramaiah, tried to adopt a similar approach. The Naveen Patnaik’s government wore its proud Odia tag in every programme it did. It hosted several mega events like investment summits, heritage festivals and the 2018 men’s hockey world cup, publicised Odia traditions, projected Odisha as an important tourist destination, and significantly improved city infrastructure. In each of these,“Odisha” as a badge of honour figured prominently in publicity drives. Two, it introduced a slew of welfare programmes for the poor. The farmers’s income support scheme KALIA, the single-window welfare delivery system Peoples Empowerment Enabling Transparency and Accountability (PEETHA) and the Ama Gaon Ama Bikas Yojana, a self-governing model for villages, are now important USPs of the state government. The twin-strategy forced the national parties to wake up and somehow carve out a vibrant opposition space for themselves. 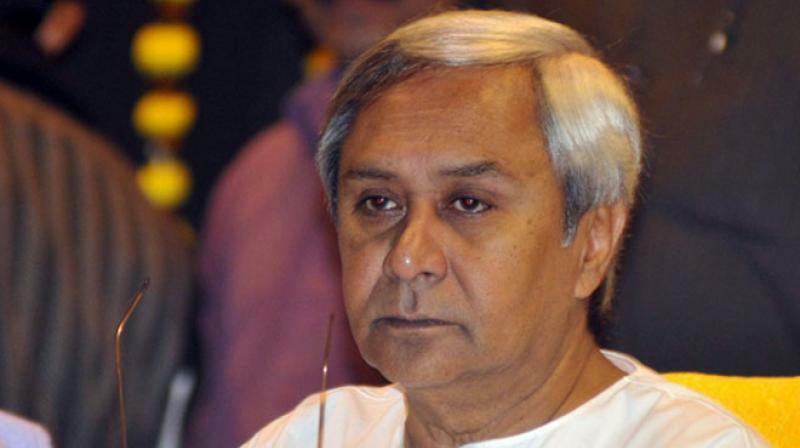 The Congress and the BJP had to respond to BJD’s dictum, not the other way round. As a result, the BJP’s national campaign on nationalism could not take off at all. The Congress, too, could not offer a solid alternative development vision. Since caste arithmetic is not as big an electoral factor as in the north of India, none of the parties represented one caste group or the other. This meant the national parties struggled to create an Odisha-specific narrative in front of the BJD. The BJD saw to it that it remained ahead in the PR game. Patnaik saw that Telangana chief minister and Telangana Rashtra Samithi head K. Chandrashekar Rao reaped big electoral benefits from his unique Ryuthu Bandhu – under which around six million farmers were awarded Rs 8,000 per acre every year to meet farming costs – and Ryuthu Bheema insurance cover of Rs 5 lakh for farmers in case of accidental or natural death. Soon after KCR landed a thumping victory in the assembly polls, Patnaik too introduced the Krushak Assistance for Livelihood and Income Augmentation (KALIA). Under the scheme, farmers will get an annual assistance of Rs 10,000 in two instalments (for rabi and kharif seasons). Crucially, he also included sharecroppers and agricultural labourers in the scheme, and increased its scope. Many observers thought that by including all members of the farming community, Patnaik actually expanded his electoral constituency. And then, Patnaik revived the 33% women’s reservation Bill debate in India. When his government initially passed a resolution in the state assembly to support 33% women’s reservation in parliament and assemblies last November, not many noticed. However, the chief minister hogged national attention in March when he announced that a third of all the BJD candidates will be women. Political analysts declared Patnaik’s move a game changer. What Patnaik effectively did was to nudge both the BJP and Congress to look beyond their own campaigns – often touted as “national narratives” . Congress, which was peddling farm loan waivers, started talking of minimum income guarantee for the poor. Although the Congress had mooted this in 2014, the issue was put on the back-burner until regional parties like BJD and TRS revived it. Similarly, immediately after Patnaik advocated for the 33% women’s reservation bill in the assembly, party president Rahul Gandhi wrote to all Congress chief ministers to pass a similar resolution and build pressure on the Modi government to take up the bill in parliament. With the poll campaign on, Gandhi has now promised to pass the Bill if the Congress comes to power. Similarly, the BJP, which pushed a big infrastructure-driven development model and was content with its campaign on nationalism, was forced to address issues arising out of the states. Modi launched the Pradhan Mantri Kisan Samman Nidhi direct income support scheme for the farmers. Under the scheme, farmers will get Rs 6,000 annually in three instalments. Schemes like Odisha’s KALIA and Telangana’s Ryuthu Bandhu will likely hold greater sway among voters as the state governments accorded themselves the first mover advantage. Regional narratives or national influencers? The Odisha example indicates that political voices like the BJD, TRS, Trinamool Congress, the Telugu Desam Party and YS Congress of Jagan Reddy have now become much more crucial in the parliamentary polls than before. State-based parties are no more content to be mere allies of national parties. They are shaping their parallel development visions and influencing the so-called national political narrative by remaining a step ahead of the national parties. They too now know the tricks of PR-driven political canvassing. Consider this. 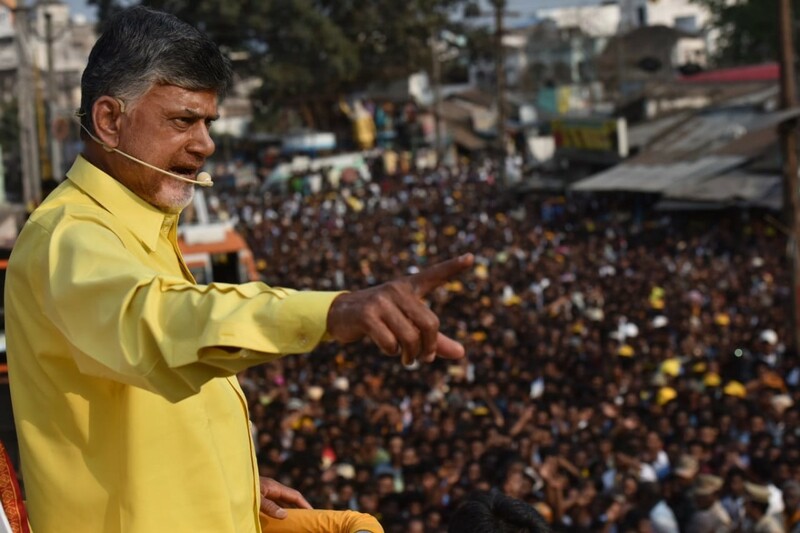 The TDP walked out of the BJP-led National Democratic Alliance, citing the BJP “betrayal” in not according Andhra Pradesh special category status as promised. Chief minister N. Chandrababu Naidu made such a big political issue out of this that many other chief ministers followed suit. That it was influenced by his regional rival, Jagan, making it an issue is besides the point. Ever since Naidu walked out, Naveen Patnaik and Bihar chief minister and BJP ally Nitish Kumar have also demanded that their states be given special status. Now, Rahul Gandhi has promised the northeastern states that their special category status will be restored if his party comes to power. Similarly, Mamata Banerjee, the TMC chief and West Bengal chief minister, has emerged as one of the most important voices against the BJP. Her criticism of the saffron party on issues like communalism, declining autonomy of government institutions, rising unemployment and rural distress is not second to the Congress’s – hers is, in fact, more powerful than the grand-old party’s. Similarly, the Samajwadi Party, Bahujan Samaj Party and Rashtriya Janata Dal have emerged as the only electoral torchbearers of ‘social justice’ in the Hindi heartland. The BJP, which had successfully blended the development and social justice planks in 2014, does not enjoy the same privilege. The 2015 Bihar assembly elections, when the Janata Dal (United) and RJD came together, reflected that when the mahagathbandhan turned the polls into a clash of “backward” groups – represented by the alliance – and “forward” caste groups, which came to be represented by the saffron party. Currently, the alliance of BSP and SP in Uttar Pradesh has also campaigned in a similar style. They have ditched both the Congress and the BJP, and created a dominant narrative of their own. The regional parties want to be equal partners of national parties. They have shown their resentment if treated as second fiddle. The recent disgruntlement of NDA allies like the UP-based Apna Dal or Suheldev Bharatiya Samaj Party (SBSP), and UPA allies like Bihar-based Rashtriya Janata Dal, clearly indicate a similar trend. Political analysts have recognised the growing influence of state-based parties on national politics. In a way, state-based parties assert the fact that India is a parliamentary democracy, as against national parties which would like people to believe that elections are a clash of personalities. He said that all those who said in 2014 that Modi had reversed this trend and that national parties will dominate from now on discounted the fact that BJP’s majority came only because of its “90% or higher strike rate” in seven or eight states. “The BJP’s victory in 2014 actually shows that that performance of state-based parties is going to be critical nonetheless,” he said. He contended that the 2019 polls would be a “competition” between two narratives – with BJP on one hand and the UPA and state-based parties on the other. In a way, the Congress, by virtue of being the biggest non-BJP national party, is likely to get the advantage of the alternate narrative pushed by state-based parties. Perhaps it recognises this, since it has tried to inculcate state-level issues in its campaigns against the BJP. Sajjan Kumar, a political scientist associated with People Pulse, a research organisation for fieldwork-based political studies, was of the view that regional parties are bound to rise when there is a “fractured narrative” – which is the case in 2019. “Unlike 2014, the election in 2019 will be wave-less. The opposition’s narrative of rural distress and unemployment will contend with the BJP’s nationalism, especially after airstrikes on the Balakot terror camp,” he said. Despite a large section of news television pushing a monochromatic political narrative day in and day out ahead of the elections, the significance of regional parties in Indian polity is likely to grow. Will they be the “kingmakers” in 2019? We will know on the evening of May 23, when votes will be counted.